High performance with infinite headroom! Introduced in 2011, the current-generation 911 is entering its seventh year on the market in 2018. It may sound like a lot given that most carmakers redesign their models every six to seven years, but the 2015 facelift (called 991.2) managed to keep things fresh. However, the 991-gen 911 is indeed getting a bit long in the tooth, and a brand-new model is under development for the 2019 model year. The German firm has been testing the 992-generation 911 since late 2016, and the sports car’s design moved closer to its production form in the final months of 2017. Come January 2018 and Porsche began testing the convertible version. 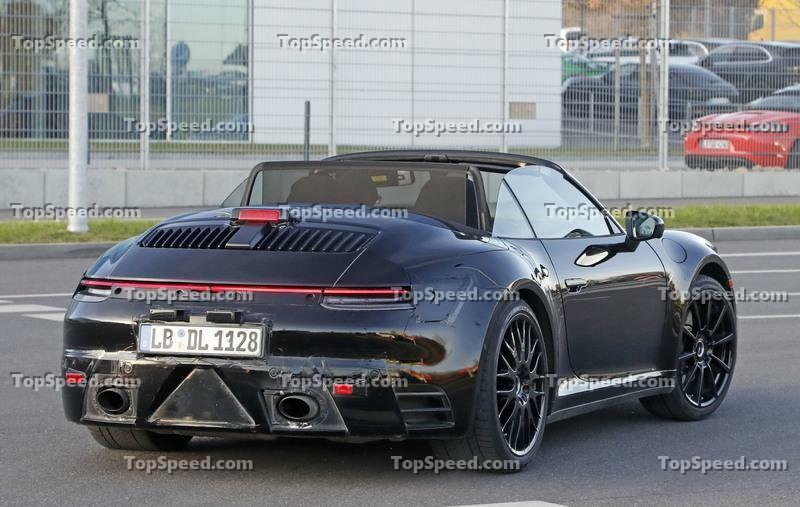 Spotted on public roads with the top down, the upcoming 911 Cabriolet sports the same design features as the coupe. Not surprisingly, the visual upgrades are rather mild, with the 992 exterior being heavily based on the outgoing model. The interior is still a mystery as of this writing, but more changes are in store under the skin. The fact that every version of the 911 will be turbocharged is a known fact, but word has it that the next-gen 911 will also get a hybrid variant and maybe even an all-electric model. There’s a big chance that the 992 will be a radical departure from the traditional 911 and the convertible model will follow suit. An official unveiling is likely to happen in 2018, but I expect more test cars to hit the road over the next six months. So stay tuned for updates and check out the speculative review below for more info on the next-gen 911 Cabriolet. Continue reading to learn more about the Porsche 911 Cabriolet. New-Gen 992 Porsche 911 Caught In The Open! When the first 911 mules hit the road in late 2015, they used bodies from the outgoing model. New details began to surface as development advanced into 2016 and the coupe started to take their new shape in the second half of the year. The convertible came out with the new features already installed and they are identical to those seen on the coupe. Far from surprising, as the Cabriolet has been a chopped-off coupe since the nameplate’s early days. Naturally, the 992 remains highly recognizable as a 911, using the same styling cues that made the German sports cars famous. But Porsche came up with a bunch of new features that set it apart from the outgoing model and give it a fresh appearance. Up front, the convertible gained new LED headlamps with a slightly modified shape and new light clusters under the lens. The trunk lid is also new, now being narrower above the nose. This feature is borrowed from the original 911 and other air-cooled models, on which the lid extended toward the bumper. Below we can see new vents and a slightly bigger splitter but nothing too radical. As usual, the sides are carried over with even fewer changes. The rear fenders have been reshaped and seem a bit wider, while the door handles and mirrors are a bit different, but everything else is very similar to the outgoing version. Around back, the taillights are slimmer and seem based on the Mission E Concept, while the retractable spoiler is larger and extends just above the taillights. The hood grille and the rear bumper have also been revised, but the latter is still camouflaged. Note: Current Porsche 911 Pictured here. We don’t know much about the next-generation 911’s interior, but this is where the 992 could differ significantly from the 991. Expect it to arrive with a new dashboard and a new center console with a more ergonomic layout for buttons and knobs. The instrument cluster will also have a new design with new graphics, as will the steering wheel, which could be based on the 918 Spyder’s, as seen in other recent Porsche models. Porsche should also have a new infotainment system ready when the new 911 arrives. The package will probably include a larger touchscreen, improved connectivity features, and loads of cool apps to use at the track. The seats will also be redesigned to offer improved comfort and better support during cornering. As with most redesigns, the 992-generation 911 should come with improved, softer materials, new upholstery options, and new customizing options. The Cabriolet should also benefit from a new soft-top with faster operation at slightly higher speeds. The top should also be lighter than its predecessor and fold into a more compact form behind the rear seats. There’s no specific data about the next-gen 911’s drivetrain, but it’s safe to assume that the Carrera and Carrera S models will use variations of the turbocharged, 3.0-liter, inline-six engine. This unit was introduced with the 991.2 facelift and replaced the naturally aspirated 3.4- and 3.8-liter powerplants with two different power outputs. Since it’s only a couple of years old as of 2018, the 3.0-liter turbo will be used on the next-gen Carrera and Carrera S as well. In the current-gen 911, the six-cylinder cranks out 370 horsepower and 331 pound-feet of torque in the Carrera and 420 horsepower and 368 pound-feet of twist in the Carrera S. Porsche will definitely update the engine so it should deliver at least 380 and 430 horsepower, respectively. The extra power and the revised chassis should make the new Cabriolet model a tenth-second quicker than its predecessor. Note: 2020 Porsche 911 Turbo pictured here. Moving over to the 911 Turbo and Turbo S, my bet is that Porsche will also update the existing twin-turbo engines. The current models use turbocharged, 3.8-liter flat-six mills that generate 540 horsepower in the Turbo and 580 horses in the Turbo S. It remains to be seen whether the German will update the engine or offer a brand-new unit, but the next Turbo should get a significant power bump. I’d venture to say that the Turbo will develop around 570 horsepower, while the Turbo S could benefit from at least 600 horses. Both version will have all-wheel-drive as standard and will be able to hit 60 mph from a standing start in less than three seconds. Although Porsche has yet to spill the beans officially, a hybrid model is also in the works and the gasoline-electric combo will probably make it into the Cabriolet too. The big mystery here is what engine will Porsche use in conjunction with one or two electric motors. The German brand has two configurations for road cars. There’s the V-6 in the Cayenne and Panamera hybrids and the V-8 in the 918 supercar. The latter is out of the question due to its size, while the former would seem like an awkward choice given that the 911 is a flat-six sports car by tradition. But I guess Porsche could make an exception for the first-ever hybrid 911 without upsetting too many purists. On the other hand, it’s not out of the question for the Germans to be working on a brand-new hybrid drivetrain that includes a flat-six gas engine. Another option would be the 919 race car’s hybrid drivetrain that includes a flat-four. Not only it would fit inside the 911, but it would also provide the best fuel economy and reliability of all Porsche drivetrains. Finally, there are rumors that Porsche might also offer an all-electric 911. With the Mission E concept now confirmed for production, an all-electric 911 seems plausible, but it remains to be seen if Porsche will want to offer a coupe and a convertible alongside the sporty four-door. Pricing will obviously increase with the new generation, but I’m not expecting a major premium over the current model. The base 911 Carrera Cabriolet retails from $103,400 for the 2018 model year and the upcoming model should start from around $108,000. The Carrera S Cabriolet will probably go for $122,000 before options. Finally, the sticker for the Turbo Cabriolet should jump to around $182,000, while the Turbo S Cabriolet will fetch around $208,000. Launched in 2013, the F-Type is credited with having revived Jaguar as a full-fledged sports car manufacturer. Designed to replace the XK, the F-Type is more compact, more agile, and decidedly more appealing. It’s more luxurious too, being just two rear seats away from becoming a full-fledged competitor for the 911 Cabriolet. The F-Type might come with a different engine layout than the 911, but it’s available with an array of engines. In basic trim, the F-Type is offered with a turbocharged, 2.0-liter four-cylinder engine rated at 300 horsepower and 295 pound-feet of torque. Not quite enough to go against the 911, but the supercharged, 3.0-liter V-6 engine delivers either 340, 380 or 400 horsepower. More power can be had with the F-Type R, which uses a supercharged, 5.0-liter V-8 rated at 550 horsepower and 502 pound-feet of torque. Transmission choices include the eight-speed automatic and the newer six-speed manual. Jaguar also offers an AWD system. Though it’s not as quick as the 911, the F-Type has the advantage of being significantly more affordable, with the V6 model retailing from $71,100. V8 model begins at $103,000. Read our full story on the 2017 Jaguar F-Type. Launched as a direct competitor to the Porsche 911, the Mercedes-AMG GT received a convertible version in 2017. Although it’s a significant departure from the 911 due to its front-engined layout, the AMG GT Roadster has everything it takes to give the Porsche a run for its money. Not only gorgeous in drop-top configuration, it’s also aggressive to look at thanks to its wide stance and sculpted body lines. The interior is made of premium materials and comes with the latest technology and a state-of-the-art infotainment system. Under the hood, the GT Roadster comes with a twin-turbo, 4.0-liter V-8 engine rated at 469 horsepower and 460 pound-feet of torque. That’s significantly more than what the next 911 Carrera S will deliver, but it’s worth mentioning that the Merc might not be faster. The German drop-top needs 3.9 seconds to hit 60 mph and tops out at 188 mph. If you’re looking for a competitor for the Turbo model, the range-topping GT C Roadster comes with 549 horsepower and 500 pound-feet on tap. With this version, the 0 to 60 mph sprint drops to 3.6 seconds, while top speed jumps to 196 mph. Pricing for the AMG GT Roadster starts from $124,400, which makes it a bit more expensive than the 911 Carrera Cabriolet. The GT C Roadster model fetches $157,000 before options. Read our full review of the Mercedes-AMG GT Roadster and Mercedes-AMG GT C Roadster. It’s definitely too early to make predictions with not so much information to run by, but it’s safe to assume that the 992-generation model will be fastest, most-advanced Porsche 911 Cabriolet to date. 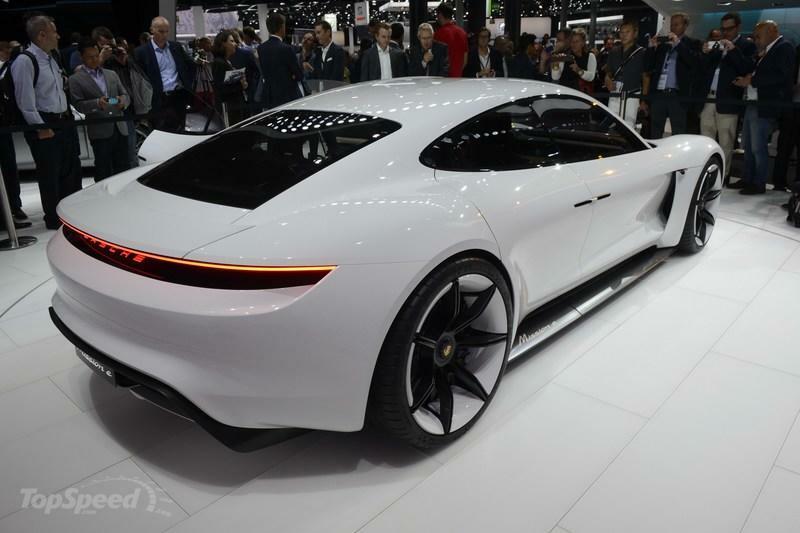 It might also be a major departure from 911 tradition if Porsche uses this generation to launch a hybrid and an EV, so it might be more important to the nameplate than we can discern at this point. In many way, the 992 could be just as important as the 996 series, the first 911 to use a water-cooled engine. But regardless of what it will bring to the table, it will be incredibly fast! Read our full speculative review on the 2019 Porsche 911 Coupe. Read our full review on the 2017 Porsche 911. Read our full review on the 2012 Porsche 911. Updated 07/17/2017: Our spy photographers caught the upcoming 911 Cabriolet out for a new testing session during cold winter conditions in Europe.